Welcome to the Inkpen Class page. This year the staff in Inkpen are Mrs Gallimore (Class teacher) and Mrs Phillips (Early Years Specialist). Primary Writing Project: This year we will be doing our first full year of the Primary Writing Project. 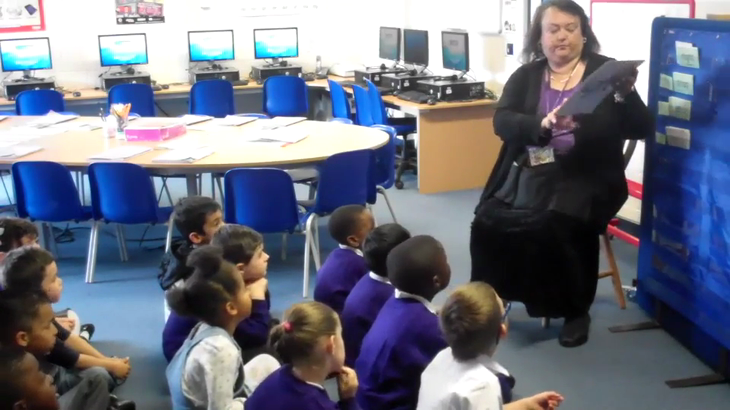 The Primary Writing Project is a way of getting children to learn a bank of different stories - teaching them new and interesting ways of retelling stories, including the use of drama or even dance. Our topic for Spring 2 is Growing with our main story of The Enormous Turnip. We will be using vegetables to help us weigh, count, order sizes, paint and support our story. After we have learnt about the story, we will move onto looking at farms and what they do. See if your child can retell the story that we have been looking at! Ask them about the different characters and also if they can remember any of our key words. Inkpen class will have PE every Tuesday, please make sure PE kits are brought into school - it is recommended that children bring PE kits into school on a Monday morning and leave them on their pegs for the rest of the week. PE kit should include black shorts/jogging bottoms and a white t-shirt. Please note that children will not need plimsolls or trainers until the Summer term. Uniform: Please remember to send your child into school in the correct uniform, refer back to the uniform policy or ask a member of staff if you are unsure. We will visit the library every Monday, it is important that library books are brought into school on this day so that children can get a new book to take home for the week, the children will not be sent home with a new library book if they don't have a bag with them - this is to avoid books being damaged or lost. Maths homework: Please complete one piece of maths homework a week (the date is written on the page for each week), the maths we teach each week tends to have a link to the particular week's homework. Values homework (in the pink books) is given out on the first of every month - with the new value. The children have a month to complete the values homework - giving them plenty of time to create a fabulous piece of work. This homework can include things like pictures and models. The best piece from each class will be displayed in the hall for all children to see. We ask that children are encouraged to complete the homework independently and then parents/carers can write what their child has done; as well as any discussions had. The children have a reading book that is changed every Thursday. They need to be reading this book every day and it is to be recorded in their reading records by an adult. If your child reads 5 times a week then they receive a sticker. If your child does this 6 times in a row then they could win a prize. Any book that you read with your child can be recorded in their record, not just school books. We check reading records every Thursday as well to link into the RED (Read Every Day) Award. We need parents to sign records every time you read with them so our class can be in with a chance of winning £10 to spend on books for our class. If you have any queries or concerns, please do not hesitate speaking to Mrs Gallimore or going to the office and making an appointment to see her at a time that suits you best. Buried Treasure This is a game we play in school to support children blending and reading words- Select Phase 3, choose a sound and play!